How to create a chat room? Chat Rooms are a great tool for giving your team a place to meet and discuss a range of topics. 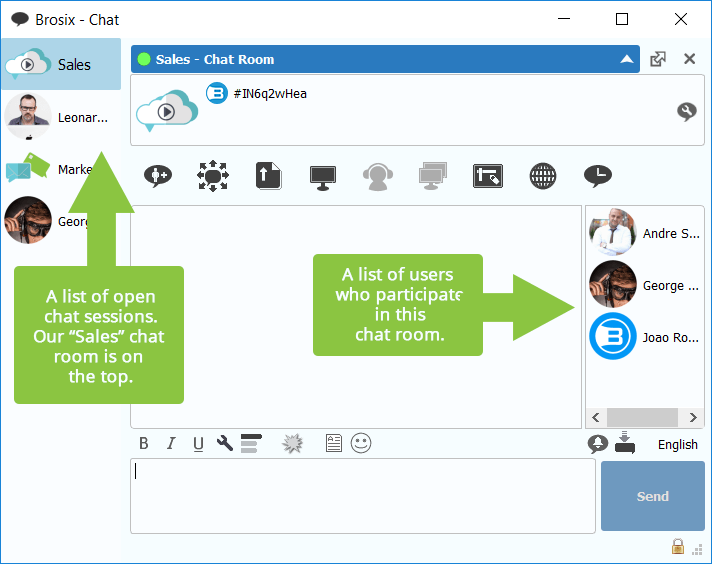 You can create a chat room either as an individual user or as an administrator using the Chat Room Controls available in the Brosix Ultimate plan. 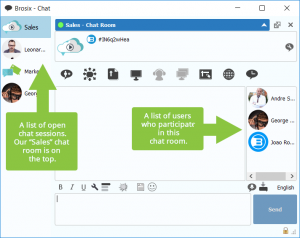 This tutorial will focus on the process of creating a chat room as an individual user. 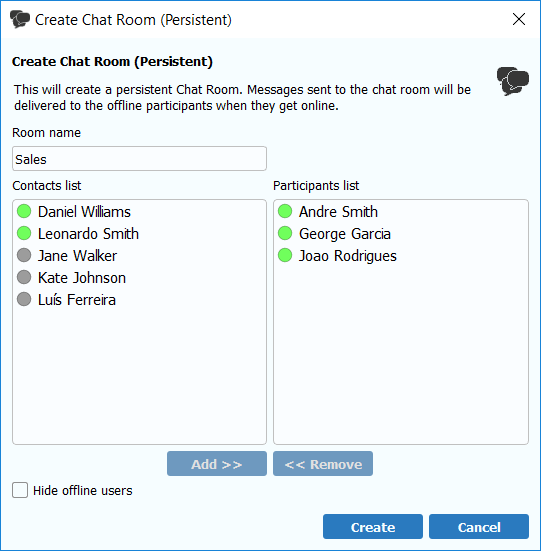 A pop-up window will open, which will prompt you to name your chat room and then add the contacts you would like to participate in this room. Make sure to add at least two contacts in order to create the room. A chat window for the new chat room will now open. Through this window you can send messages to all people in this chat room (contacts currently offline will receive these messages upon their next login). You can also search the chat history of this room through this window. Once your chat room is created, a new group will be shown in your contacts list named “Chat Rooms.” This group will display all the chat rooms you are currently a member of. How do Brosix Chat Rooms work?